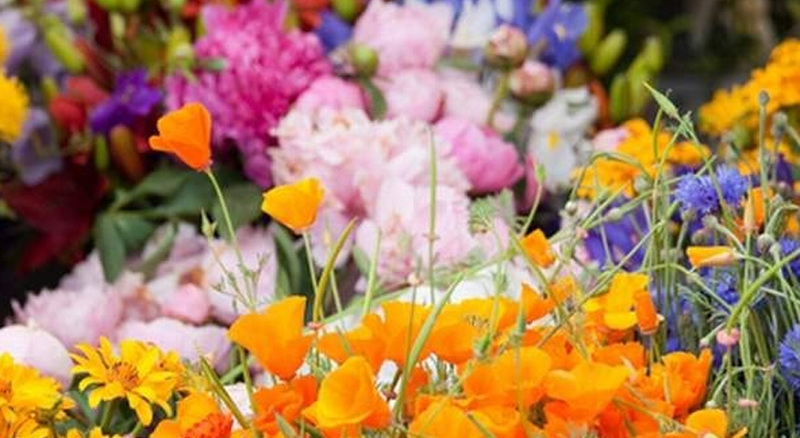 As established Flower Growers the Somerset Flower Farm are able to supply florists, Wedding planners, Event organisers and all who love Fresh British Field Grown Flowers. We will also supply and arrange flowers for any Event or Occasion, from board-room flowers, to home celebratory events. Whatever your floral needs, we will endeavour to supply a top quality service. 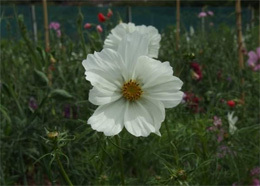 In 2012 the Flower Farm launched a new Wedding Flower Suppliers Service. Beautiful Flowers for Brides, Venues and large or small ceremonies. We will use beautiful Seasonal Flowers, arranged in a relaxed ‘country’ style chosen by you. A complete, individual service, Special to each bride, our Bridal Flowers are always ‘Fresh’ and Colourful from personal brides choice. 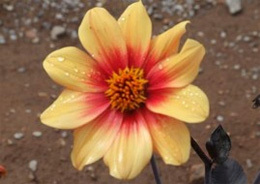 We welcome visitors to the Flower Farm, we are Seasonal Flower Growers where you can choose from a wide variety of flowers to take home: Posies, bunches, hand-ties etc. A treat for yourself or a lovely gift for friends or family. We look forward to seeing you. 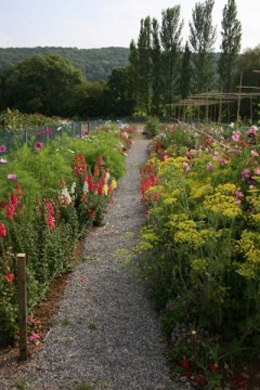 The Somerset Flower Farm is located in the beautiful village of Wrington in Somerset BS24 5RS. We had, for 3 1/2 years, been growing on a small scale, and selling from ‘The Gate’, but soon realised that we needed much more space in order to grow the range of flowers we wanted. We started the search for land to lease, and found land in Churchill, Wheatfields, a former commercial plant Nursery before finding our Haven at Wrington. There is the potential to really ‘grow’ our business here, as there is available land to ‘grow’ into! 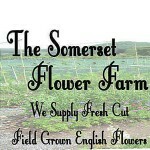 The Somerset Flower Farm are fortunate to have a Shop open to the general public. We do have visiting times to visit us in the flower fields due to our busy schedule but the flower shop is open most days. We have been providing Fresh Grown Flowers for many years and recently expanded our Floral supply service due to demand and now supply local businesses with Fresh Flowers on a weekly or monthly basis. 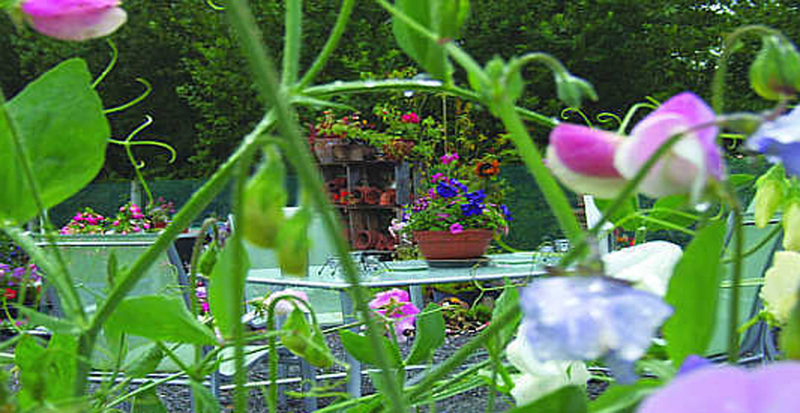 About us EnvironmentContracts were duly signed, and at the end of March this year, we had our first two polytunnels skinned, creating not only extra space, but a warmer growing environment for certain flowers, and protection from the weather for flowers easily damaged by rain and wind. The majority of our flowers are Field grown, without the use of chemicals or pesticides. 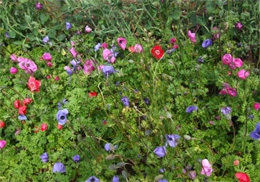 We grow Flowers in their natural seasons, on the whole, but a few ‘specials’ can be brought on earlier, or grown over a longer period, which is a distinct advantage in extending the beginning and end of the seasons, and being able to provide a varied choice of flowers. We are as passionate about nature and the environment we live in, as we are about growing the best quality British cut flowers. It is wonderful to see and hear the wealth of insects bees, hoverflies and butterflies visiting our flower fields, and the small patches of wild flowers and nettles we have created for them. The next big project for the Flower Farm is to create a very large wildlife pond, so encouraging many of the beneficial natural predators of creatures intent on nibbling their way through the whole Farm! But also a sanctuary for ALL the wildlife who make water and its surrounding plant life, their home.